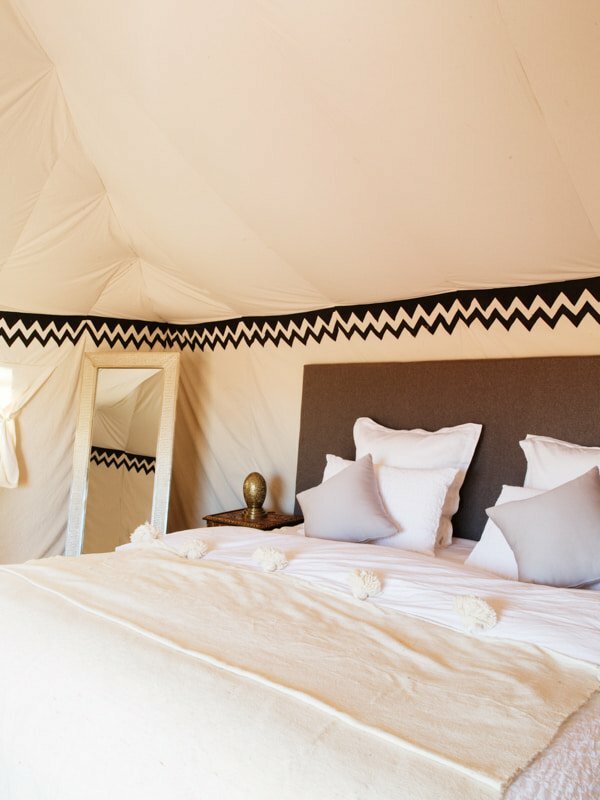 The 2019 desert camp at Erg Chegaga has 8 Tent Suites which are spacious with beautiful furnishings, creating a space in the Sahara to experience the nomadic life in style. The private Bathrooms have a toilet, sink and shower with hot water using solar and wood burning energy. 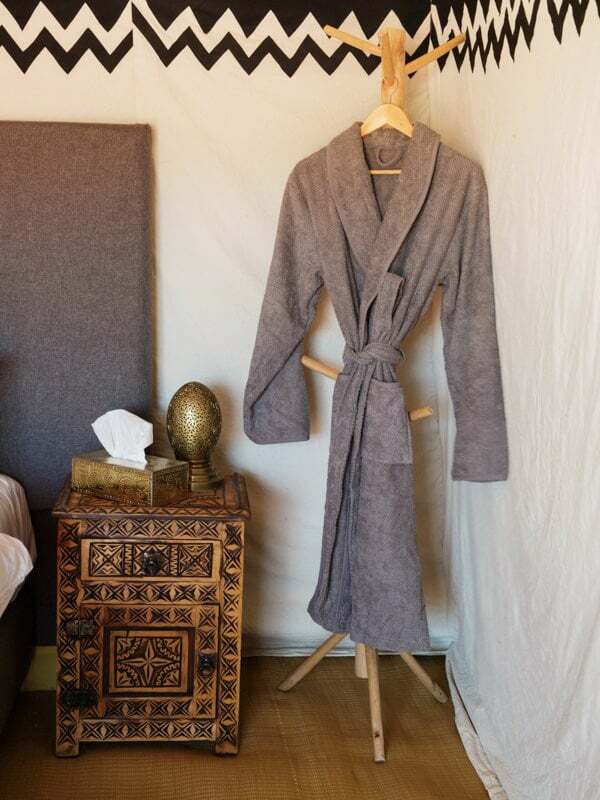 Fresh towels are provided, together with natural soap and shampoo products. 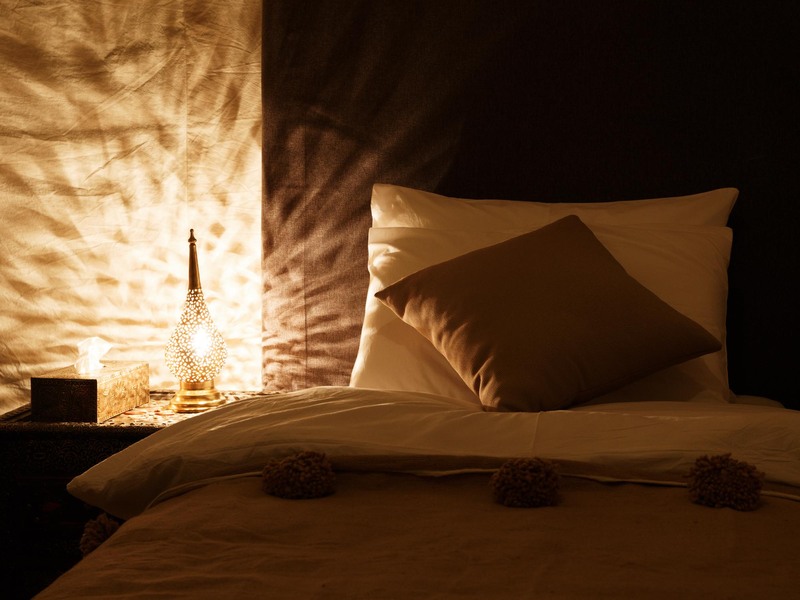 The bed linen is Egyptian cotton with comfortable pillows, thick duvets for the winter months and sheets and throws for the summer. 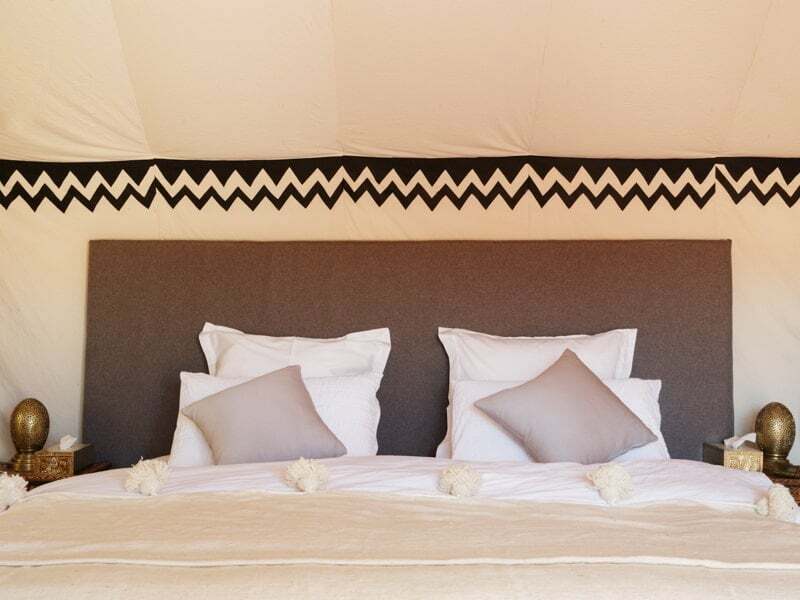 Each tent has a King Size bed and the option of single beds for up to 3 people. 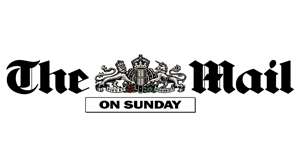 Children under 12 may share with their parents to a maximum of 4. Electrical sockets are provided in each tent. 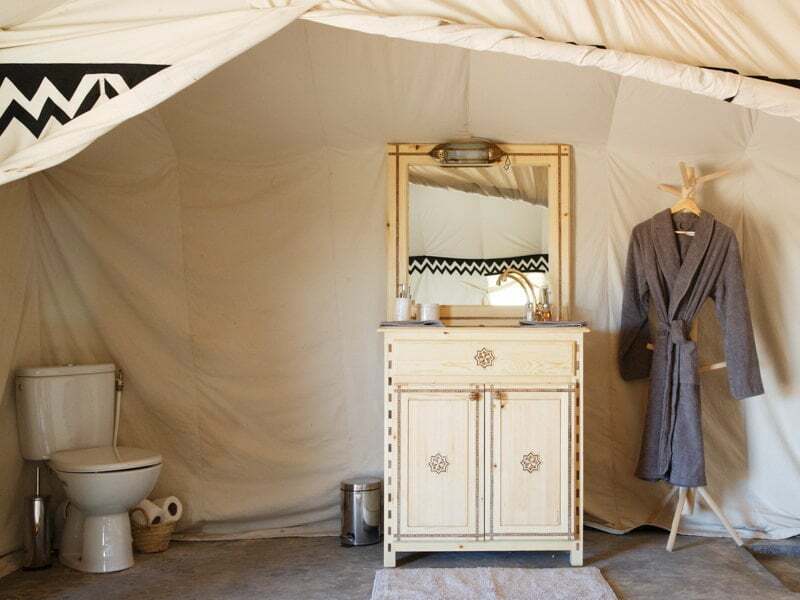 You may book your Tent Suite at Nubia Luxury Camp, Erg Chegaga, through our website reservation system or directly by email. After we have established availability of your accommodation booking, we will send you a booking confirmation and payment request for a 60% non-refundable deposit. The remaining 40% is payable 30 days prior to arrival, but may be paid on arrival, by agreement. If your trip falls within 30 days, the full amount is payable. We will book this for you via our partner Travel Company, a UK Registered Tour Operator meeting the requirements of UK and EU Travel Regulations.